Grease Duct Cleaning in Arcadia CA | Flue Steam Inc. 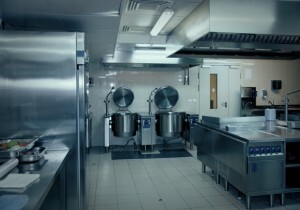 Protect your commercial kitchen with grease duct cleaning in Arcadia CA. For just about any kind of restaurant, code compliance can be a real headache. Possible fire hazards can also cause concern. Professional grease duct cleaning in Arcadia CA is one way to achieve peace of mind on this issue, but this service needs to be provided by true professionals in order to be effective. There are many good reasons to trust Flue Steam for all your grease duct cleaning in Arcadia CA. We have over 40 years’ experience in the industry. Our long history tells you two things: 1) we know what we’re doing, and 2) our clients are happy. We know all the ins and outs of relevant fire and safety codes in your local area. We employ certified technicians. Our employees have completed training courses with the International Kitchen Exhaust Cleaning Association, a respected organization of which we are a member. Because IKECA certifications are not given for life but must be renewed periodically, you can rest assured that our employees will always have the skills and knowledge required to complete grease duct cleaning in Arcadia CA up to the latest industry standards. We offer two types of cleaning. Unlike some companies that only provide hand scraping services, we do hand scraping and steam cleaning. This means we don’t just clean the visible portions of your ductwork–we clean every nook and cranny for superior protection against the risk of a grease fire. We help you save money without sacrificing safety. Often, business owners struggle to figure out just how often they should be getting grease duct cleaning in Arcadia CA. Should it be every month as recommended, or some other interval? At Flue Steam, we measure the depth of grease deposits in your ducts before each cleaning. Using this data, you can begin to project when a dangerous depth is likely to be reached and adjust the frequency of your cleanings accordingly. This saves you from spending money on cleanings you don’t really need. We help you stick to your cleaning schedule. We are happy to provide after-hours grease duct cleaning in Arcadia CA so that our work doesn’t interfere with your business. Our technicians will leave you with a special sticker after a cleaning to help prove to code inspectors that the work was done properly and also help you remember when your next cleaning is due. 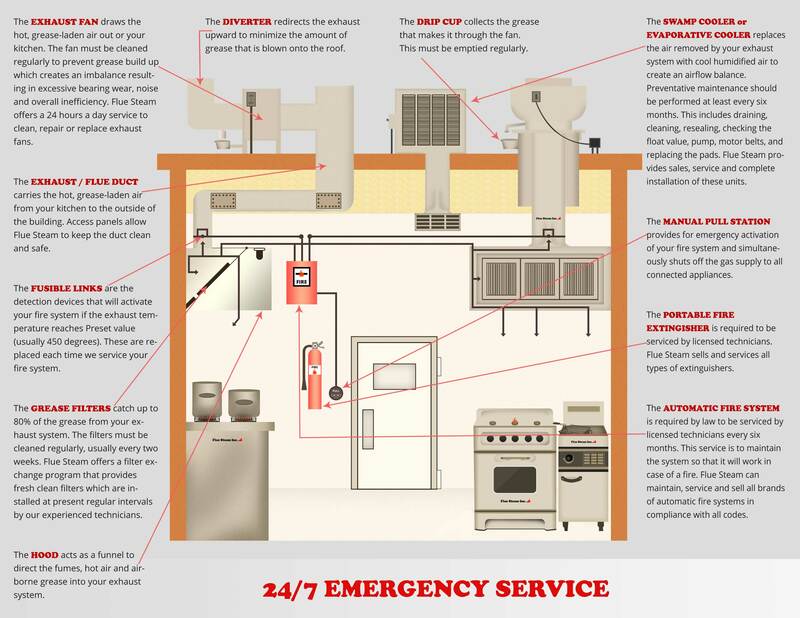 In addition to professional exhaust system cleaning, we also offer other vital services for your commercial kitchen including grease filter exchange, swamp cooler maintenance, and fire extinguisher service. Please call today to find out more about our services.